Showing results for tags 'the show'. 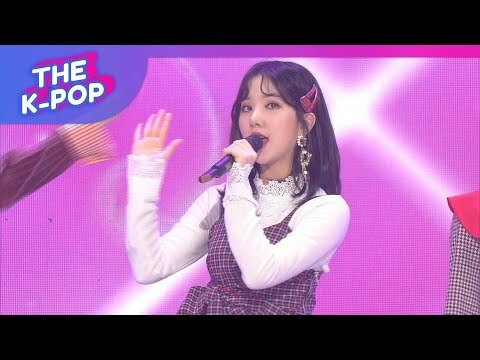 GFRIEND performing FINGERTIP on SBS MTV The Show! 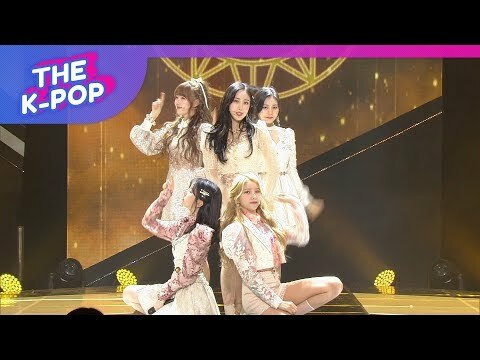 Photo = SBS MTV 'The Show' screen capture [HeraldPOP = Lee Ho-Yeon Writer] Girlgroup GFRIEND has claimed their first 1st place trophy since comeback. GFRIEND has been awarded 1st place on SBS MTV's music program 'The Show,' broadcasted during the afternoon of the 19th. This signals the beginning of their 1st place parade, achieving first place only a week into comeback. Leader Sowon expressed her thanks by saying, "We are thankful to our fan club Buddies, management and staff members. We'll take this as a hint to work harder, and we'll show you a better GFRIEND." Yuju and Umji showed tears after receiving the trophy. Yerin, the MC of 'The Show,' further amplified the fans' emotions through her closing comments with her shaky and teary voice. On this day's broadcast, GFRIEND performed their new song 'NAVILLERA,' wearing yellow uniforms, as if they were butterflies. They gave off fresh, girlish charms as their title 'Power Innocence' describes them. On a side note, 'NAVILLERA' is the title song of GFRIEND'S first full album 'LOL.' 'NAVILLERA' is a refreshing song that cutely expresses the desire to fly to a loved one. Source: Naver STARCAST Article Comments: + 1129, - 256 Well done on your first week of comeback! Now let's keep running with us fans! You girls were awesome! + 898, - 203 Please take care of your health, and congratulations on the 1st place after comeback~! Let there be energy in the upcoming weeks, don't get sick~~ + 896, - 208 A sincere congratulations to GFRIEND on the 1st place victory, let's just walk on flowery roads ♡♡ + 768, - 183 Well done to all the other 1st place candidate teams. Always keep up the great work GFRIEND, all the way to the top! It's great seeing you girls work so hard. + 782, - 192 Good job!! Don't cry you girls, Buddy will be cheering you on so you'll only need to smile starting tomorrow!! + 279, - 37 All the efforts are paying off at last, congratulations!!!! + 283, - 39 A big congratulations T_T T_T T_T And don't cry Umji T_T + 284, - 41 You girls are the best! No words can any longer compliment how good you girls are~ Congratulations girls! + 298, - 46 Isn't this the result of all the blood and sweat these girls have put into this? I'm going to be a Buddy forever. + 262, - 36 Congratulations on 1st place!!! The Show streaming is open! Auggie posted a topic in Let's Talk GFRIEND!